Johannesburg is blessed with very warm summers and mild winters. Winter is between June and August and summer is November until February. Summers are lovely and warm with temperatures getting up to about 25 degrees in the daytime. However, there is also a lot of rainfall in December and January so don’t forget your rain coat. Johannesburg tends to be less crowded in autumn. Temperatures are mild, ranging between 18 and 23 degrees in the daytime and there is less rainfall at this time of year. 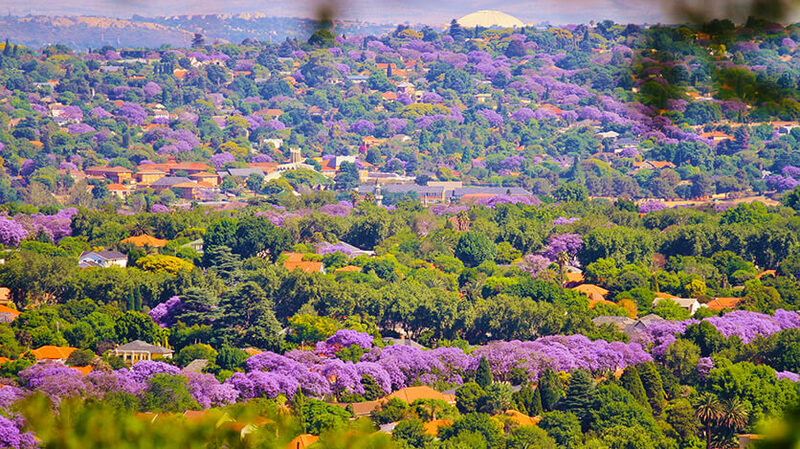 Spring is a good time to visit Johannesburg; daytime temperatures are around 22 degrees in September and 24 degrees in November. Evenings can still be quite chilly so it’s worth bringing a jacket.